A flash memory device that connects to a computer’s USB port, to automatically back-up digital files, has today been launched by Clickfree. The Clickfree Traveler (pictured) costs from £79.99 and is available in 16GB, 32GB and 64GB capacities. 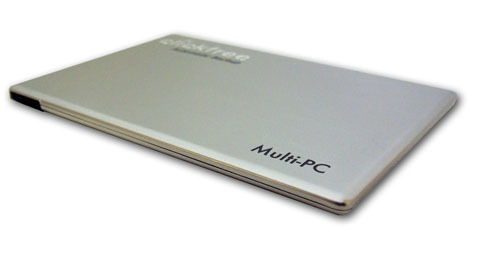 ‘The Clickfree Traveler is perfect for business travellers because it’s the size of a credit card and fits easily into your wallet or purse to keep important content at hand for easy access; or to restore critical information in the event of a lost, stolen or malfunctioning computer,’ claimed a spokesman. Also launched today is the Clickfree DVD Transformer which also connects to a USB port and allows automatic back-up of data to CDs and DVDs. This costs £34.99.